AN East Lancashire MP is helping a Darwen man try to get an unsolved murder case from the 1980s reopened. Jake Berry is calling on police to reopen their investigation into the murder of Drew Griffiths. Mr Griffiths, an actor and playwright, was killed at the age of 37 in a homophobic attack near the Elephant and Castle area in London in 1984, but no one was ever arrested. Mr Berry, who represents Rossendale and Darwen, began writing to the Metropolitan Police after Darrener Glynn Kelly, a friend of Mr Griffiths, began looking for support in trying to get the case looked at again. Mr Kelly, who worked with Mr Griffiths at the Stables Theatre in Manchester in the 1970s, said that the murder of the gay activist was often on his mind. He said: “Since coming back to live in Darwen after working in the United States, Drew’s murder has been in my head a lot. “Drew was a wonderful person, I can’t emphasise enough how witty and clever he was and it’s just an injustice that this case has not been solved. 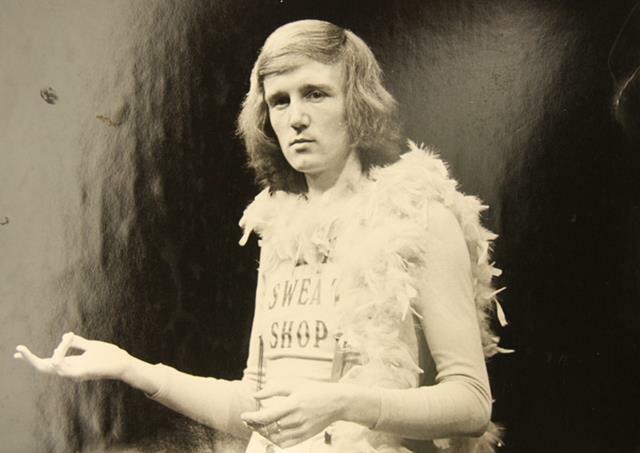 Mr Griffiths founded the Gay Sweatshop Theatre Company in 1974 to try and expose and end misrepresentations of homosexuals. Mr Berry said that it was a ‘scandal’ that the killer got away with the murder. “It is an absolute scandal that this case was not properly investigated, there is someone out there who has literally got away with murder. The Metropolitan Police is reviewing case files and is yet to say whether it will be formally reopened. Can't see this getting anywhere, but there you go.